This paper considers the problem of planning prospective clinical studies where the primary endpoint is a terminal event and the response variable is a survival time. It is assumed that the lifetimes of the individuals in the study display extra-Weibull variability that causes the usual proportional hazards assumption to fail. The introduction of a Gamma-distributed frailty term to accommodate the between-subject heterogeneity leads to a logarithmic F accelerated failure time model to which the second-order expansions of Papandonatos & Geisser  can be applied. 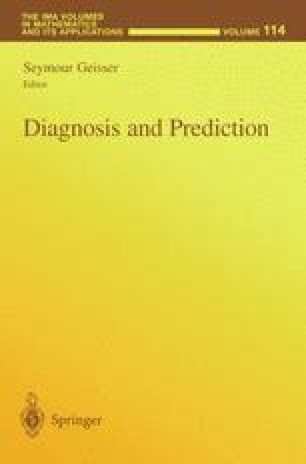 The predictive simulation approach of Papandonatos & Geisser  can then be used to evaluate the length of the study period needed for a Bayesian hypothesis testing procedure to achieve a conclusive result. Work supported in part by NSF grant SCREMS-9627804.